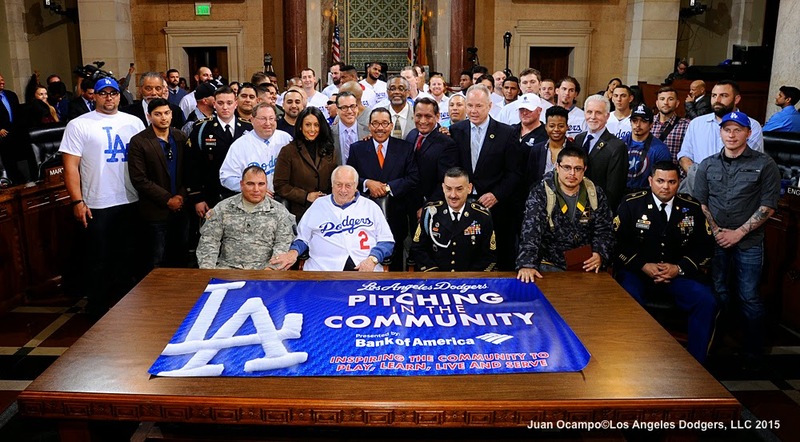 To conclude the Dodgers Community Caravan last week the Dodgers visited City Hall on Friday and met with a group of combat-injured service members and the Wounded Warriors Project for lunch. Photo above via Juan Ocampo/LA Dodgers 2015. Go here to check out more photos from the event. RIP, Rocky Bridges. Mark Langill at Dodger Insider passes along the sad news that former Brooklyn Dodger Rocky Bridges has died. Check out his story about him here. ICYMI: The two assailants who attacked Bryan Stow at Dodger Stadium in 2011 have just plead guilty to additional federal gun possession charges, via an AP report at ESPN. They were already in state prison for attacking Stow and now face time in federal prison. In other words, they are doing everything possible to make sure they never get released. Via Miles Wray at FanGraphs, "Which MLB Teams are Blazing New Trails in Scouting?" As you would expect, the Dodgers are at the top of the list. Via Jon Weisman at Dodger Insider, "A healthy Joe Wieland is eager to move forward with the Dodgers." 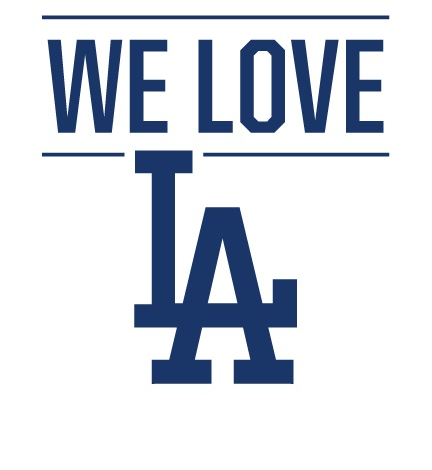 BTW, the Dodgers new marketing slogan for the 2015 season is "We Love LA." Via Ken Gurnick at MLB.com, "Gabe Kapler's favorite player: A.J. Ellis." "That's why he stands out to me. He does a great job providing a platform for his teammates to be heard and appreciated. A.J. checks all of those boxes, and that's why he's my favorite player." Via Mark Saxon at ESPNLosAngeles.com, "Yasmani Grandal ready to make his mark with Dodgers."